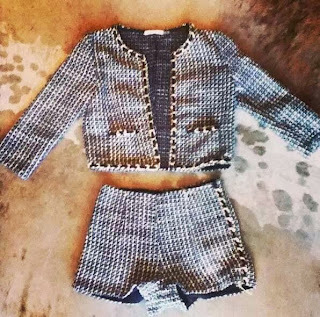 A Chanel inspired shorts suit available at Niche boutique in Broad Ripple, Indianapolis! The price is less than $100! What shoes would you rock with this? ?